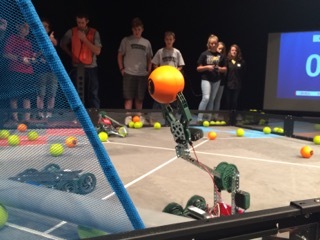 Balls dropped, students screamed, and robots battled. “This is like the best day of school I’ve ever had!” yelled a student as she ran across the Lincoln Middle School auditorium. 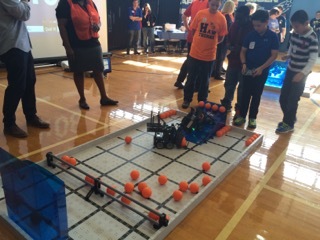 On Thursday, Lincoln Middle School hosted the first VEX robotics competition for Alachua County Public Schools. 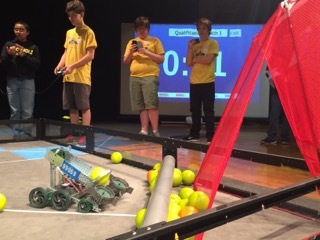 More than 200 elementary and middle school students competed in the district-wide competition with robots they worked on throughout the school year. The students were a part of 55 teams in two divisions, metal or plastic robots, competing for a chance to move on to national and worldwide robotics competitions. 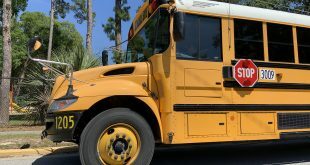 For Alachua County Public School Superintendent Dr. Owen Roberts, the day was a dream come true, something he has worked to implement since he took over the position in September 2014. “This is an exciting day in Alachua County,” he said. Roberts said that to create the robots, students were given a problem and had to think of a way to solve it by using the robot. 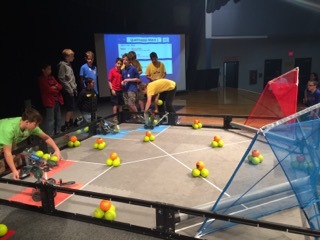 In this competition, the robots had to shoot balls into various baskets and over obstacles, which counted for points. The robot with the most amount of points at the end of the allotted time won that round of competition. 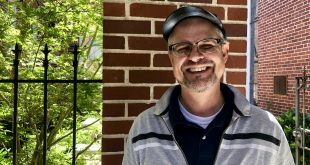 As part of Roberts’ STEAM initiative, which focuses education on science, technology, engineering, arts and mathematics, he has worked with schools to implement these robotics classes into the core curriculum. In Alachua County public elementary schools, robotics is used as a hands-on approach to physical science classes. In some of the district’s middle schools, robotics is a core class, while in others it is an elective or an after-school club. 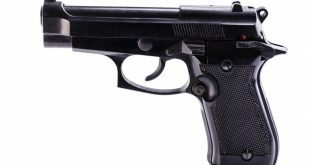 Jessica Meade, the STEM (science, technology, engineering and mathematics) teacher specialist for Alachua County, said that by the end of next year the goal is to have robotics offered on the entire K-12 level. “We are one of the first districts in the nation that is having robotics as a part of the curriculum,” she said. Meade also noted how students have really become energized and passionate about robotics since the start of the program, with some schools even competing in other competitions throughout the state. 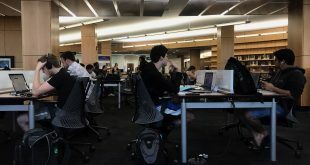 “To me, more importantly, are the skills they’re learning through the program: learning how to work together, how to communicate, how to collaborate, how to think critically and really problem solve,” she said. 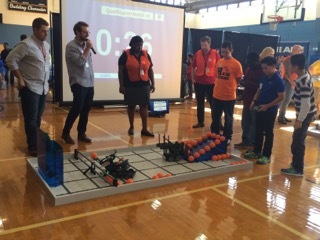 The students competing at the VEX competition had already won school-wide competitions, and two winning teams from the event are set to qualify for international competition. Roosevelt Sheppard, a seventh-grader at Westwood Middle School, competed in the metal robot division and helped with programming his team’s robot. He said his team has been working on the robot for three months. Sheppard said the biggest thing he’s learned has been how to program the robots, which he hopes he can use later in life as a graphic designer.